Located at the Donnelly Group’s flagship Moy Road Dungannon site, the new 50,000 sq. ft. showroom has added Jaguar to the dealer’s already extensive repertoire and is now home to the first and only premium brand outlet anywhere in Mid-Ulster. Featuring the new Jaguar Land Rover ‘Arch’ concept which seamlessly brings both brands together under one roof in a modern, bright, spacious, ambient setting, the showroom provides a superior experience for Donnelly Group’s loyal customer base and new customers alike. 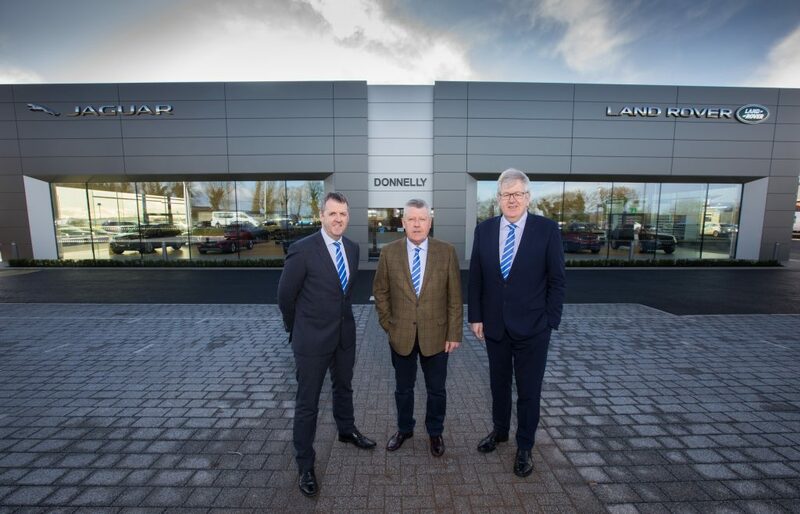 “The Donnelly Jaguar Land Rover showroom presents a really unique experience for Mid Ulster and one which has been designed with the customer in mind at every stage. From Sales to Finance to Aftersales, our dedicated team of specially trained staff are here to help.